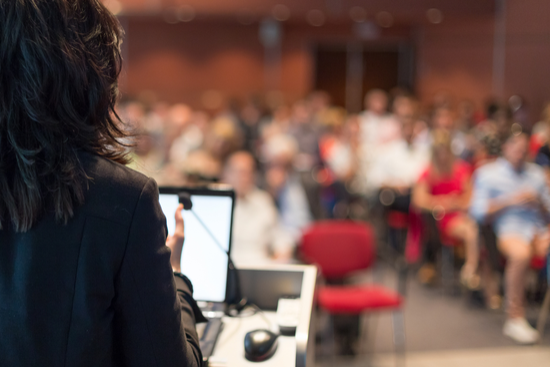 Since 1987, millions of professionals, students, and everyone in between has been using PowerPoint to create presentations slides for conferences, sales meetings, quarterly meetings and more. I know because I’ve done just that. However, for the past few months, I’ve been testing out and actively using a new presentation design tool called Beautiful.ai. It’s free, fast, easy to use, and saves automatically to the cloud. So, needless to say, I’m excited to partner with them. How many presentations have we all sat through where the slides are hard to read, boring, confusing, or not aligned with what the presenter is saying? With dozens of built-in and purpose-built templates, Beautiful.ai lets you go right from your idea to a well-designed visualization that adapts automatically as you add milestones. I don’t ever want to spend time tinkering with text boxes and aligning shapes again! These smart templates not only ensure your presentation slides look great, but also that you don’t try and fit too much on one slide. I appreciate that it keeps me in check and forces me to focus on the key points. We all know that imagery spices up and adds interest to any slide. Beautiful.ai has a library of great royalty-free stock images and icons built right in. Gone are the hours wasted searching Google for images and icons that are good quality and consistent with my project. Same goes for logos – just type in a company name and it will find the logo for you. Also, you can quickly access images you’ve uploaded previously and used in other presentations. READ ALSO Is your SEO/SEM software tool or agency worthy of a Search Engine Land Award? Similar to the way imagery can aid in grabbing attention, animation is another great way to keep your audience engaged. I’ll admit I haven’t done much of it in the past. Not because I didn’t want to, but because it was tedious. With Beautiful.ai it’s just done for you automatically, and it looks great! Pro tip – if you have to present with no internet connection, download Beautiful’s player for the PC or Mac. It can play with all the animations offline. With just a couple clicks, you can share your masterpiece with one person (or thousands!) via a simple link that will let your audience view it in all its animated glory. If you prefer the old way of sending files, you can export to PDF or PowerPoint, too – but they don’t animate if exported. Another great capability they offer is the ability to embed your presentation on your website or blog. This is a fantastic way to jazz up a page with extra content easily! When giving a presentation, most of the time you’re either: informing someone of important information; advising someone, or convincing someone to take a different course of action. If you’re a professional speaker, as I am, and giving lots of keynote presentations, you KNOW presentations are important. But for everyone else — even if you’re simply “presenting” your ideas at a weekly business meeting or in a more casual setting — presentations are still a powerful tool to communicate your ideas. Great presentations, require you, the speaker, to convey a clear message to your audience. And leave them with clear takeaways and motivation. The main way you can achieve this is with is a well-designed presentation. lets me focus on my message — while they make it look beautiful.